But in an active-active situation, where arrays are in different datacenters, you might not have the ability to stretch your layer 2. So let’s run on that assumption and walk through what it looks like. Let me define first what “iSCSI port binding” is. When you use the Software iSCSI adapter in ESXi, the default option is that it is not tied to any particular vmkernel port (and therefore physical NIC). In this situation. when iSCSI sessions need to be created to a target array, the software iSCSI adapter will use the ESXi IP routing table to figure out what vmkernel port to use. Oh the iSCSI target is 10.21.88.152? 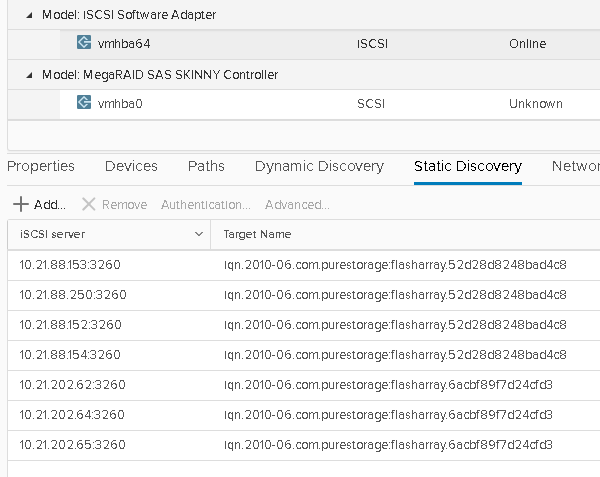 Use vmk3 to create the iSCSI sessions. The problem here is that it only uses the first vmkernel port it finds. So it will not multipath internally to the host. Yes there are multiple paths to the array, but that is just based on the number of targets on the array. 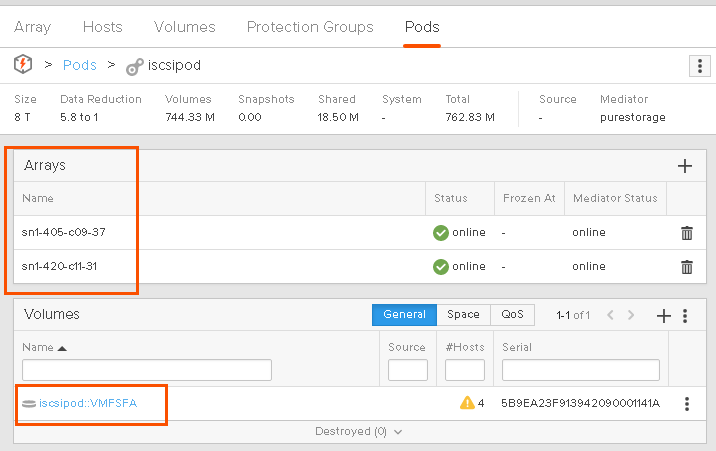 So you are limited to the bandwidth from the single NIC on the ESXi host, so you likely cannot take advantage of the multiple iSCSI target concurrency the array offers. 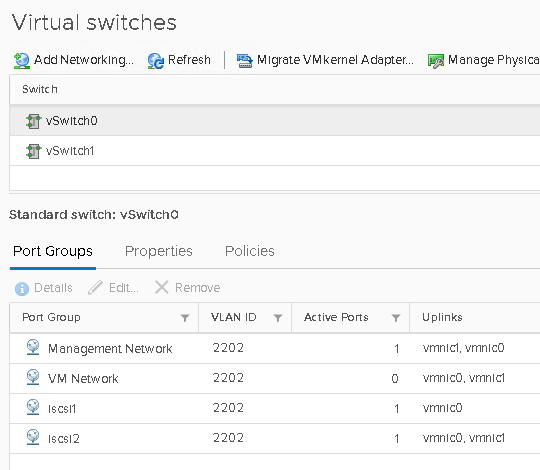 Port Binding, however, allows you to associate one or more vmkernel adapters to the Software iSCSI adapter directly. 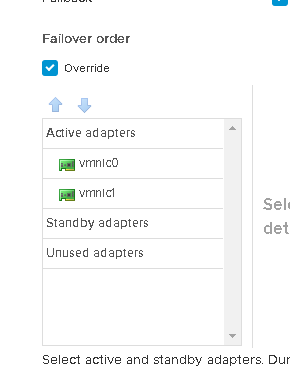 This then tells ESXi to create iSCSI sessions on all of the associate vmkernel adapters, and therefore physical NICs. This allows you to use more than one physical NIC at a time. (or sets of arrays replicating in an active-active fashion)? Let’s run through some scenarios, but first let’s look at my environment. 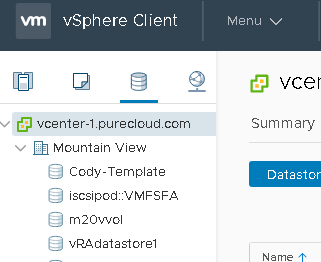 I have a VMFS datastore (called iscsipod::VMFSFA) that is on a FlashArray volume replicated with ActiveCluster so it is available on both of my arrays simultaneously. My first array is on VLAN 2202 (10.21.202.x) and my second array is on VLAN 2088 (10.21.88.x). I have 4 iSCSI targets on one array and 3 on the other array for a total of 7 targets. Note that some of those iSCSI targets are on my first array (10.21.202.x) and some of the targets are on my second array (10.21.88.x). Now let’s walk through some scenarios. The first situation is that my source host is only on one subnet and my target arrays are each using a different one (in the case of ActiveCluster) or I have a single array that is using two subnets by itself. If the different subnets can route to each other, than the next two sections are relevant. The host can talk to both arrays through routing. 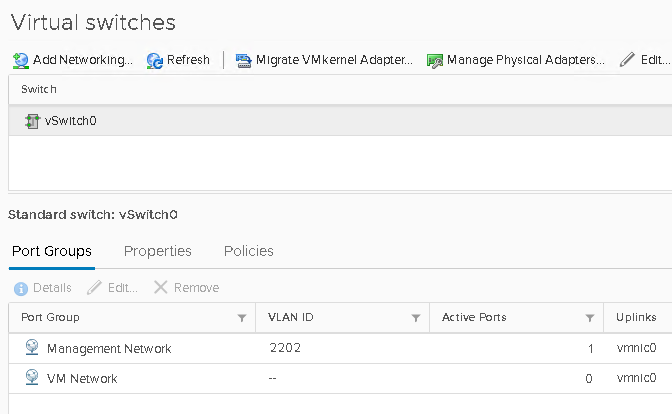 Furthermore, my host only has one vmkernel port which is on the subnet of my first array (VLAN 2022). This means all traffic will go through vmk0. What if I kick off a workload? vmk0 (vmkernel port) is being used, as expected, and so is vmnic0 (physical NIC). But vmnic1 is not being used, even though it is assigned to vmk0. 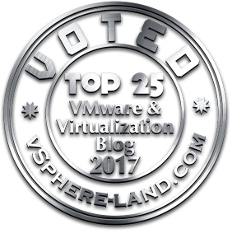 This is because ESXi only creates one session per vmkernel port and it uses the first available NIC, in this case, vmnic0. What if I add a second vmkernel port? Nothing changes, as it still uses just the first vmkernel port, vmk0. Through out all of this, the host always has 7 paths to the array for that datastore. All 7 go through that vmkernel port and that one NIC to the various iSCSI targets on my arrays. Now let’s do some port binding. 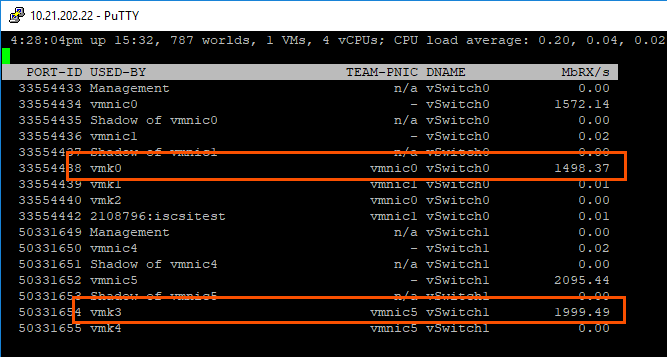 In this case I have created two vmkernel adapters, and as required by port binding, each vmkernel port only has one associated physical NIC (vmnic). So what I have done is told ESXi, “okay create iSCSI sessions through each one of these vmkernel adapters”. So my path count has doubled. This is due to the fact that the iSCSI adapter is now using both vmk0 and vmk1 and both of their respective NICs, so each vmkernel port has a path to each FlashArray iSCSI target. Let’s kick off the workload again. 310 MB/s to 424 MB/s. So the benefits of porting binding can be obvious. First off, you can double/triple/etc. your path count–depending on how many vmkernel adapters you add. ESXi only allows 8 paths per iSCSI datastore (this limit still exists even with vSphere 6.7), so you could potentially reach that limit (they support 32 for FC, so if you want more for iSCSI please tell VMware). Once you hit that limit, the specific paths that are dropped cannot really be predicted. So make sure you stay at 8 or lower. This is of course IF your subnets can route to one another. If they can’t then you will still only have the paths local to your host subnet. Again, if you are running a version of ESXi prior to 6.5, routing is not supported with port binding. So in other words, I would not be able to use the paths to my 2nd array which is in a different subnet. If I was using ESXi 6.0 and earlier, in order to use port binding to two different arrays for the same volume, I would have to stretch my layer 2 so that both arrays are on the same subnet. What if my host does have access directly to both subnets? Meaning that it has vmkernel ports on both subnets? So I have direct access to both subnets from this host. In the case where subnets are completely segregated, this is what you would want to do. This gives you tighter control over where the traffic goes. No specified route to 2088 (10.21.88.x). So everything goes through vmk0 (if the network allows it). We now have a route for the 2088 VLAN. This changes things a bit. Especially when not using port binding. So let’s look at that first. If you remember, when I didn’t use port binding, I had 7 paths (7 targets). My one vmkernel adapter (and its corresponding physical NIC) had paths to all targets. What about now? We still have 7 paths! The difference is that these paths are going through two different vmkernel adapters. 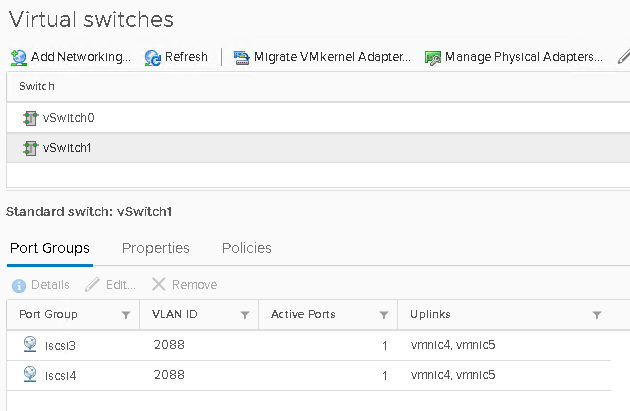 The paths on VLAN 2202 are using vmk0 and the paths on VLAN 2088 are using vmk3. So my logical paths are now spread across the two physical NICs instead of just the one. Providing more bandwidth, without increasing the logical path count. 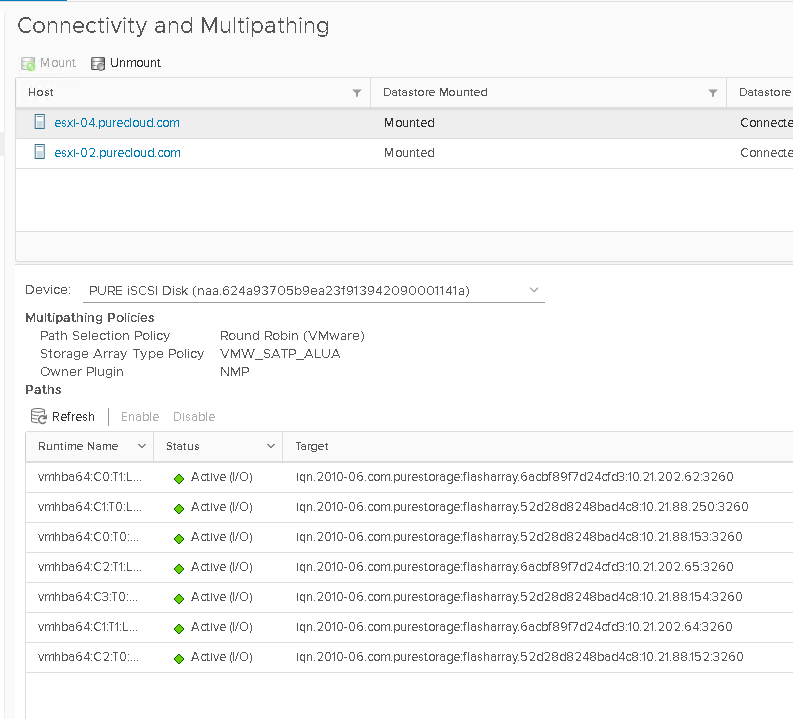 This is especially useful in ESXi version prior to 6.5 where iSCSI port binding required all vmkernel adapters to be able to connect to all iSCSI targets. Let’s kick off a workload and prove this out. I/O is going through both vmk0 and vmk3. I am not really going to spend any time on this, because it is exactly what you expect. Each bound port has paths to the target it can reach. If your design/infrastructure enforces multiple subnets–forgoing port binding is probably the way to go. But if you can get away with one subnet, go for it and port bind. Though you definitely want to make sure that your host has vmkernel ports on both (or all) of the subnets so you can get the concurrency of all of the NICs. Especially if the different subnets cannot route to one another. I run a smaller shop (around ~30 hosts and ~1,000 VMs) and it’s hard to imagine a situation where i’d want my SANs on two different subnets. I guess the only thing i could imagine is a local DR situation. As in, maybe I have two rooms in a building that have redundant equipment in each, although to me that still doesn’t seem like a good idea. I can’t see myself ever wanting to stretch a sync commit cluster across a WAN though, and if i was, there’s no way i would do a stretched layer 2. I think Ivan Pepinjak has spoke about that subject enough though to convince most folks. Thus the multi subnet seems like the only decent option. That said, I have to imagine the latency hit you would take not only for writes (100% of the time) but for the read’s during a failure situation would almost make it a non-starter for anyone that cares about performance. What would be your recommendation if you have single teaming dual port NIC only ESXi servers and a single quad port NIC storage server, all dangling off a single switch? I have ESXi 6.5 servers that were doing okay with port binding using 4 vmk, and multitarget LUN’s (4 target x 4 IP per target which are in the same subnet with each IP on a different NIC)(lots of VLAN), which had balanced writes and mostly achieved balanced reads (link aggregation load balancing algorithm luck). But after the 6.7 upgrade, heavy writes are still balanced but heavy reads seem to completely tilt to a single storage server NIC port even though ESXTOP says the 4 vmk’s are reading in a balanced manner. Too many paths? 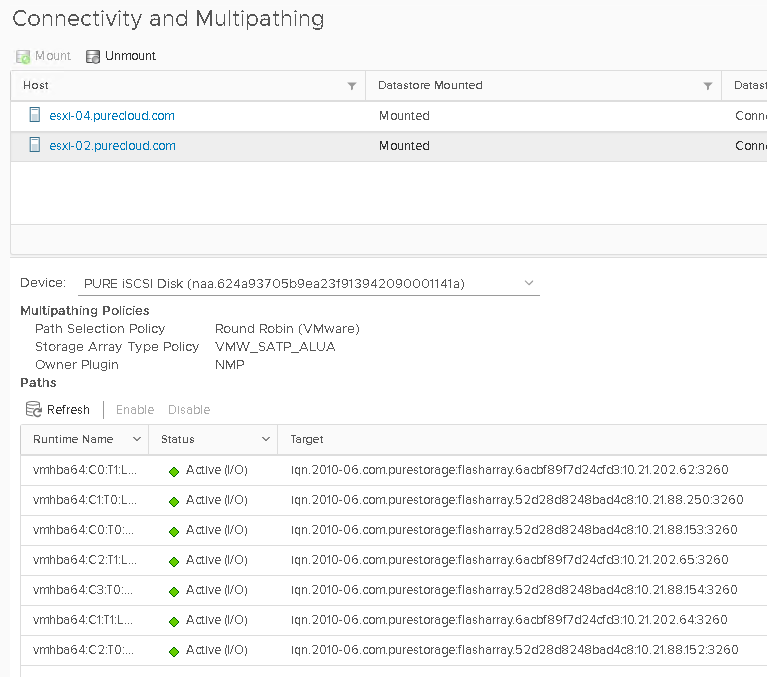 Target IP’s need to be in different subnets? Port binding only really works correctly when the vmk count matches the physical pNIC count (so too many vmk’s)? 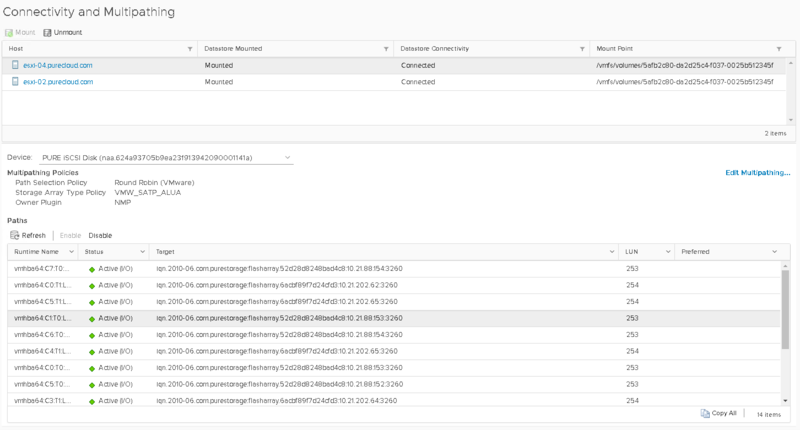 Something else changed in the behavior of the software iSCSI initiator?